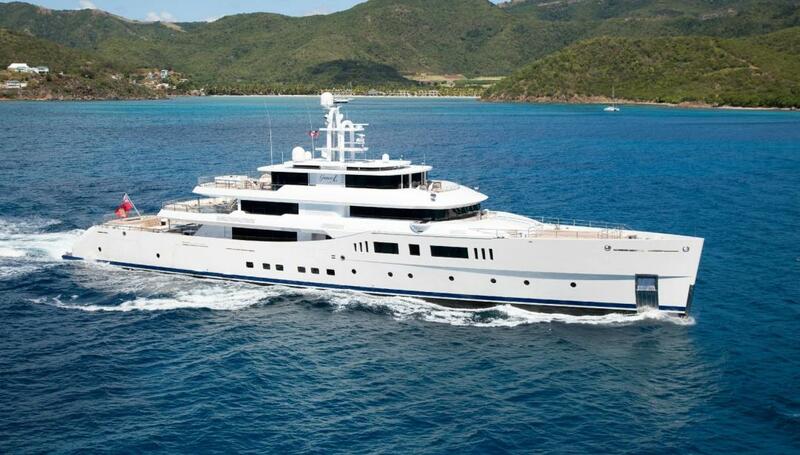 Perini Navi announced the sale of a 56m motor yacht, following the design of the award-winning Grace E, built in 2013. The Italian shipyard keeps an air of mystery about this new project in terms of her technical characteristics, it is however known that Philippe Briand will be responsible for her design. With a steel and aluminum hull, this three-deck yacht has five staterooms and is capable of accommodating up to 9 crew members. The layout shows an enclosed skylounge, aft views with plenty of open space and a pool on the upper deck aft. The shipyard’s marketing team reveals, that this 56m version interprets the recognizable design of her predecessors, M/Y Exuma (50m), M/Y Galileo G (55m) and M/Y Grace E (73m), that won Motor Yacht of the Year at the World Superyacht Awards 2015. Perini Navi has three motor yachts and one 60-meter sailing yacht in build. With this contract, Perini Navi’s order book is currently at €100 million, which promises a sustainable cash flow under the prospect of the yard’s consolidation with Picchiotti Yachts under the Perini Navi brand name, confirmed on MYS in September 2017.